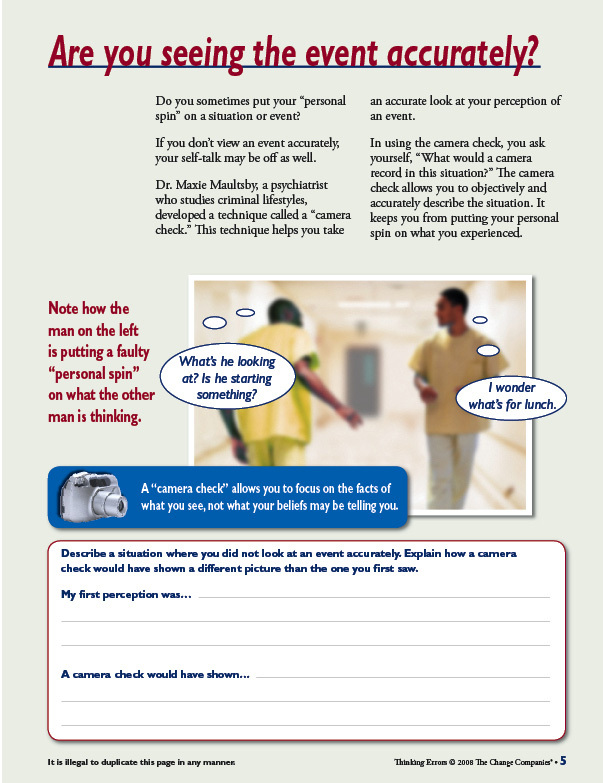 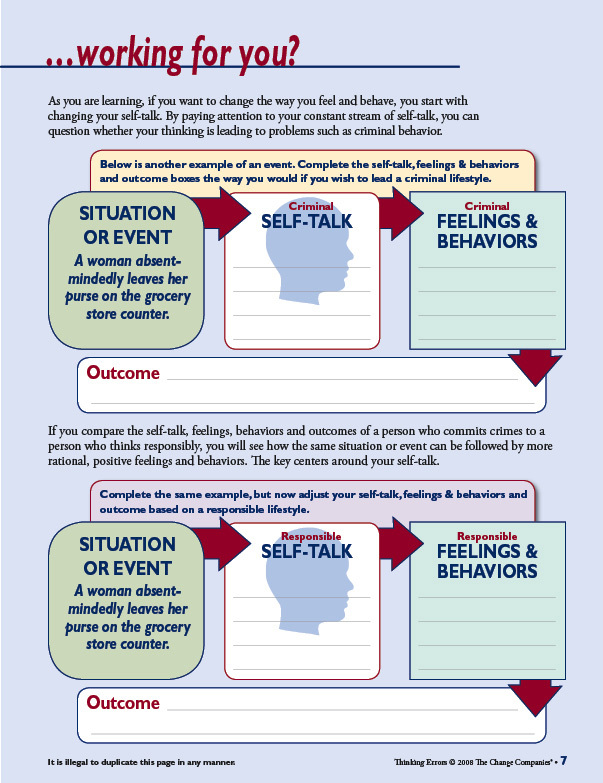 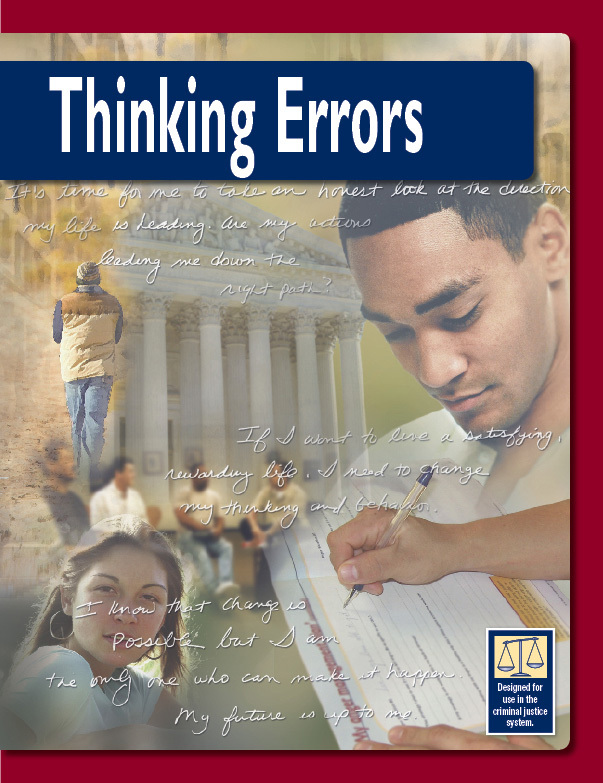 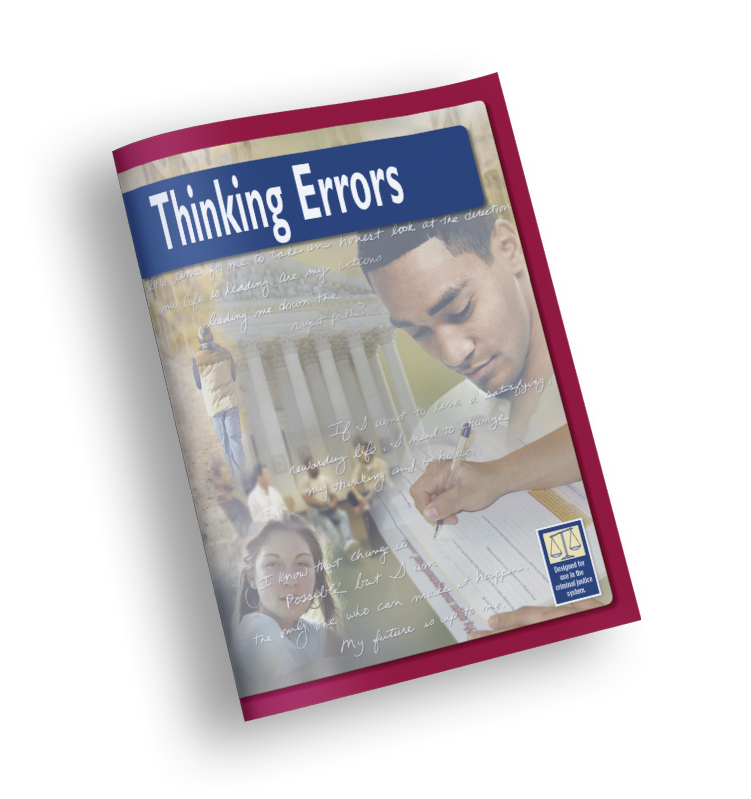 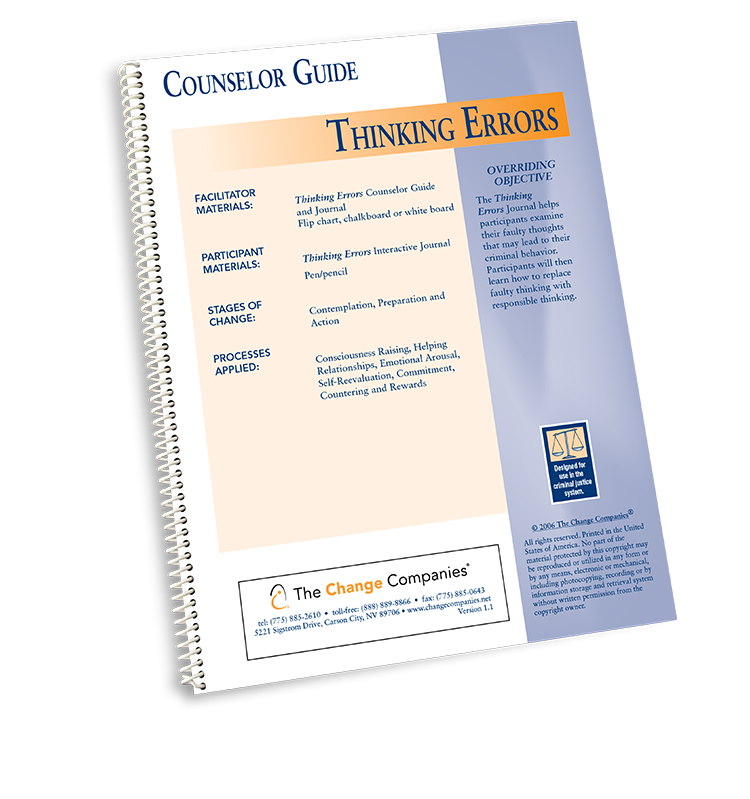 In Thinking Errors, participants are encouraged to examine eight basic thinking errors that lead to criminal behavior. 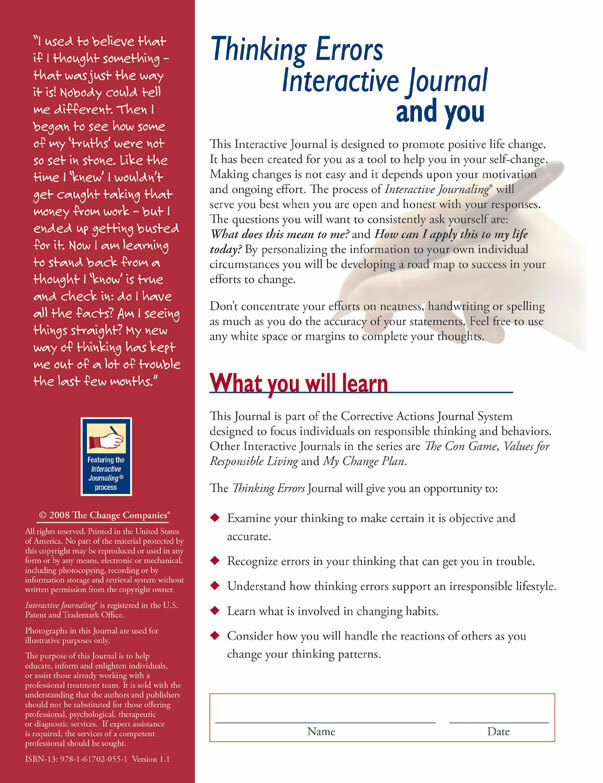 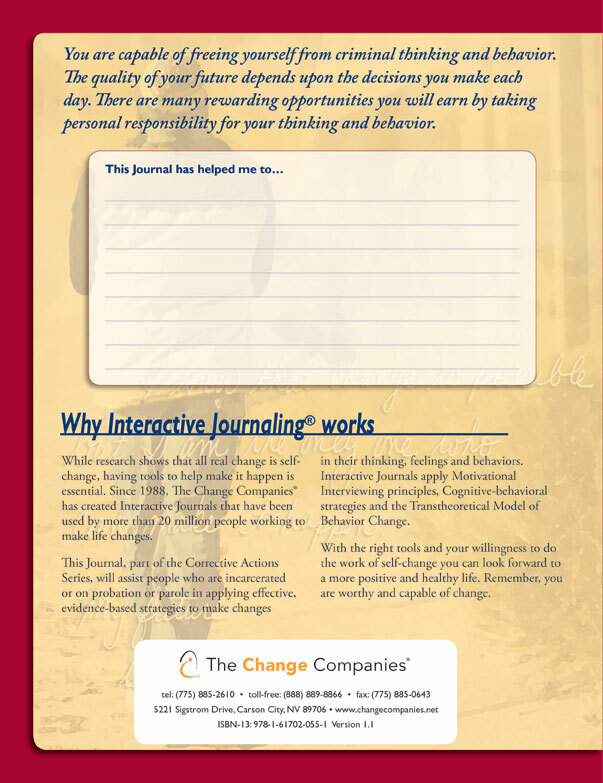 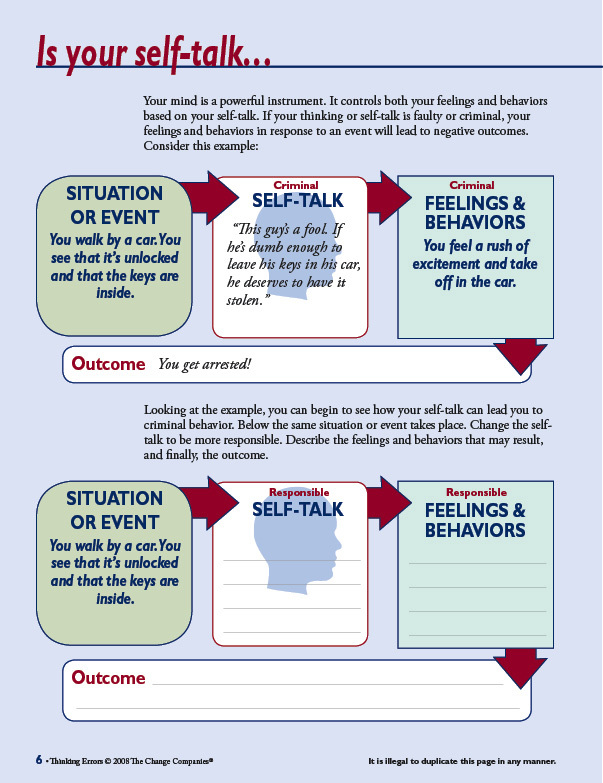 This Journal stresses the importance of changing the way people think as the key to changing their feelings, habits and behavior. 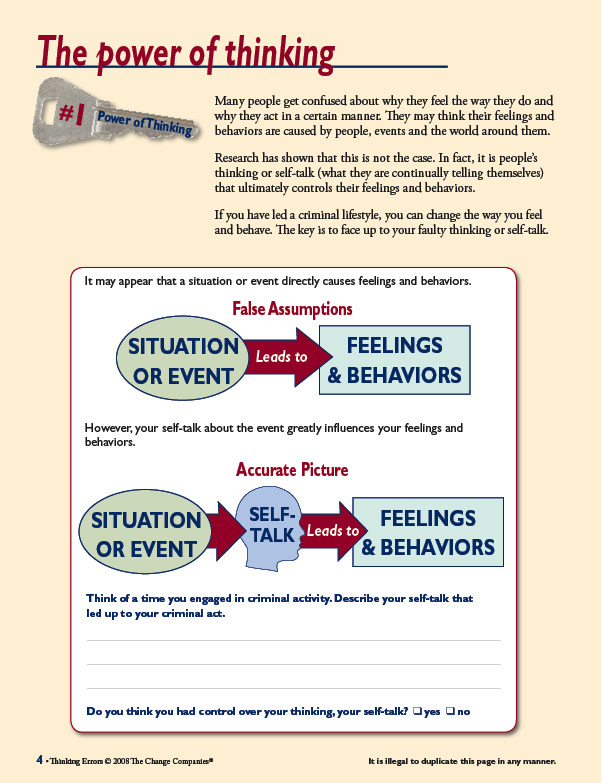 They will then consider how to handle the reactions of others as they begin to change their thinking patterns in positive ways.